The second international R user conference useR! 2006 took place at the Wirtschaftsuniversität Wien in Vienna, Austria from 2006-06-15 to 2006-06-17. The organizing team consists of Torsten Hothorn (conference), Achim Zeileis (program), David Meyer (local organization), Bettina Grün (web), Kurt Hornik and Friedrich Leisch. A major goal of the useR! conference is to bring users from various fields together and provide a platform for discussion and exchange of ideas: both in the formal framework of presentations as well as in the informal part of the conference in Vienna's wine and beer pubs, cafes and restaurants. Prior to the conference, on 2006-06-14, there were tutorials offered at the conference site. Each tutorial had a length of 3 hours and took place either in the morning or afternoon. Deadline for submission of abstracts: 2006-02-28. Vienna is one of the premier destinations for city tourism. General information about Vienna can be found here. Travel information for public transportation in the city can be obtained from here (in german). We have linked a list of some cultural events and main sights. Weather forecasts for Vienna are available from CNN and ZAMG (mostly in German). American Airlines are the official carrier for useR! 2006. A discount of 5% is available on American Airlines and their oneworld partners, for travel 11-20 June to Vienna. Book at 800-433-1790, and give the code A8466AY when booking. At least one leg must be on American Airlines aircraft, some sale fares are excluded, and Swiss Air flights are excluded. You can research flights at www.aa.com, but the website does not recognize the discount. There is a $10/seat fee for booking over the phone. 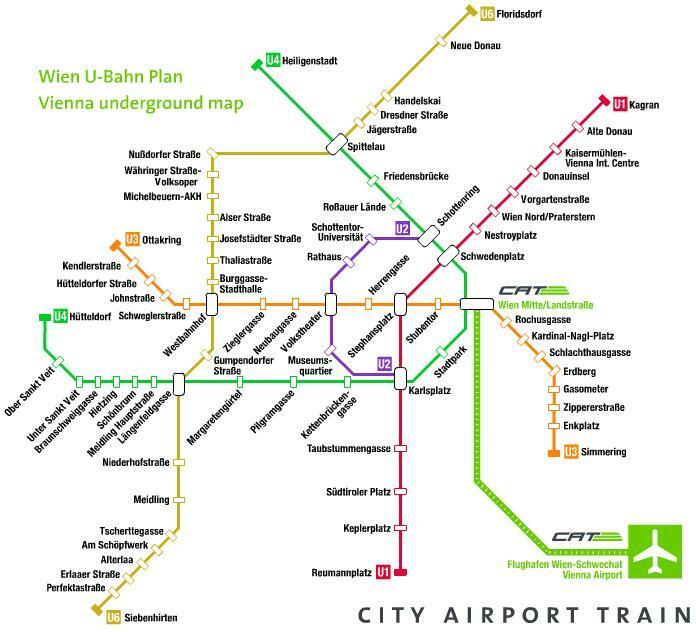 From Vienna International Airport there is the CAT (City Airport Train) to the City Air Terminal at "Wien Mitte (Landstraße)". 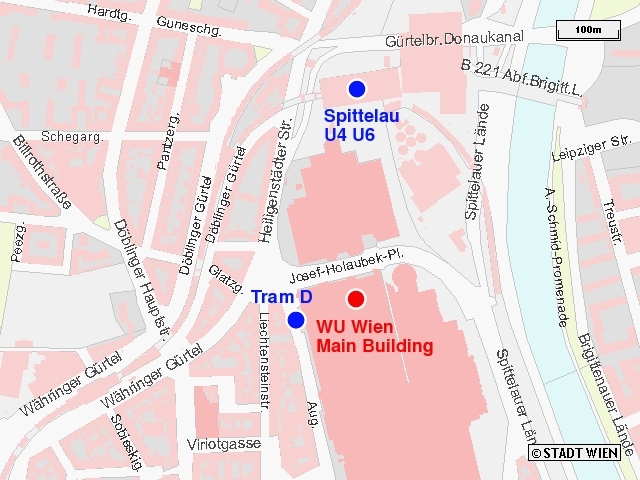 From there it is five stops with the underground line U4 (direction "Heiligenstadt") to Spittelau, where the Wirtschaftsuniversität Wien is situated. Click here to see an underground map. Please contact the organizing committee at useR-2006@R-project.org for further information.